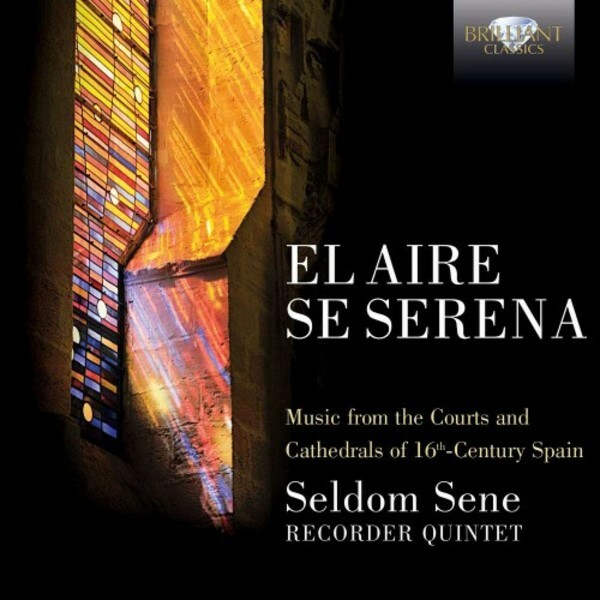 This beautifully conceived CD presents music from the Courts and Cathedrals of 16th-century Spain. The composers include Cabez�n, Guerrero, Pe�alosa, Vasquez, Morales, Victoria, Milano, Lobo, Torre and Caroso. One of the main practices in 16th-century Spain was the transcription or arrangement of vocal music from the Franco‐Flemish School. Masses, motets and madrigals by Gombert, Josquin and others were transcribed for instrumental ensembles. Quintet have selected a vast array of secular and sacred works, from the well-known composers Antonio de Cabez�n and his son Hernando, to the more neglected but at the time equally prolific composers, such as Francisco de Pe�alosa and the dance master Fabritio Caroso. Much of the release is dedicated to sacred music, with works such as Josquin�s five‐voice motet Inviolata, integra et casta est Maria and Lamentabatur Iacob, written by Josquin�s successor Morales, who styled himself on the Spanish composer. genres in 16th‐century music. As well as instrumental music and transcriptions of vocal music, the album includes a number of dance tracks: the famous [Danza] alta by Francisco de la Torre, and Francesco da Milano�s Bassadanza are two rare examples of notated dance music in a discipline that was usually improvised by the musicians on the spot. Seldom Sene is a recorder ensemble from the Netherlands which has been toogether since 2009 and they have grown rapidly in prominence, winning first prize at the International Van Wassenaer Early Music Competition at the Utrecht Early Music Festival in 2014. They perform these works on modern recorders carefully modelled after originals, selecting the most appropriate instrument for each work. The ensemble�s aim is to translate the typical phrasing, blending, flexibility and expression of a vocal ensemble into an instrumental performance, and recreate the sense of Serenity and Brilliance as is described in the CD�s title.